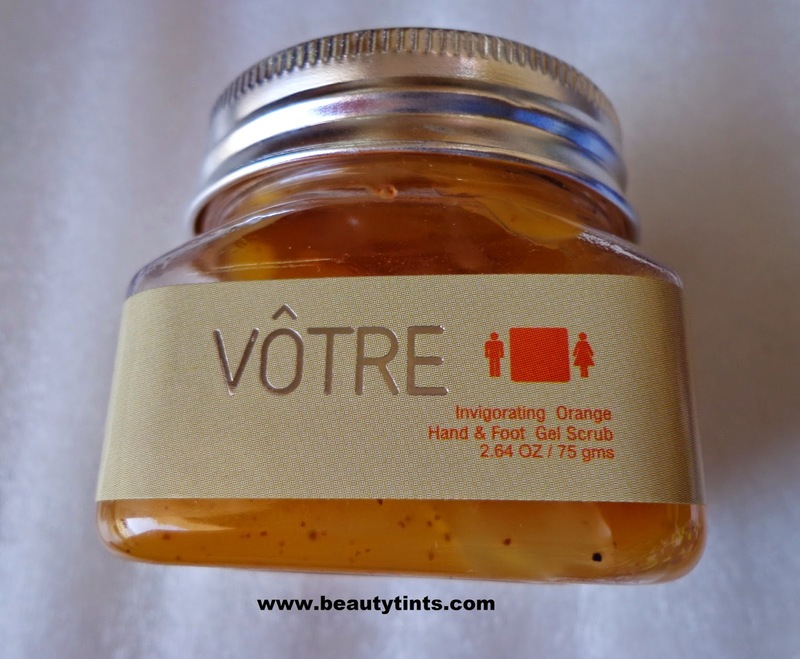 Today I am reviewing Votre Invigorating Orange Hand & Foot Gel Scrub,which I received in the November Fab Bag.It's a full sized product. Availability : Available from few online sites,you can get it from here . 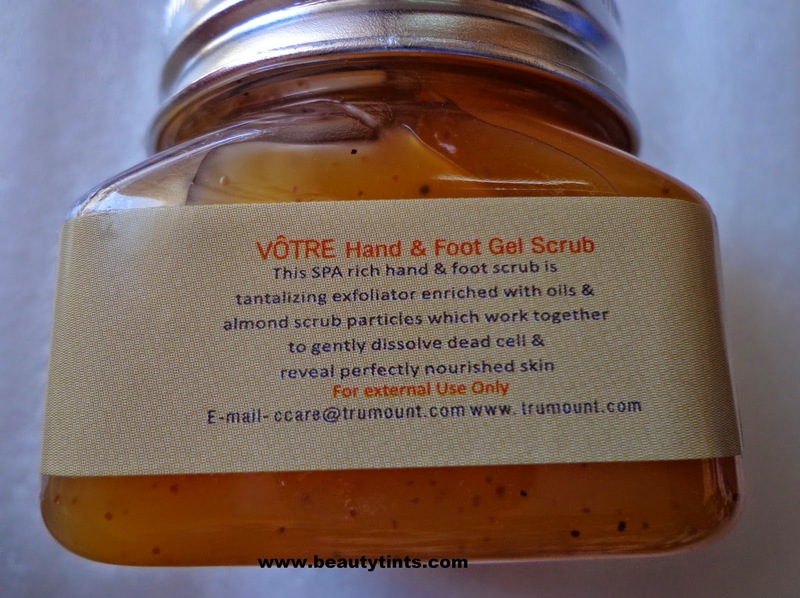 This SPA rich hand and foot scrub is tantalizing exfoliator enriched with oils and almond scrub particles which work together to gently dissolve dead cells & reveal perfectly nourished skin. 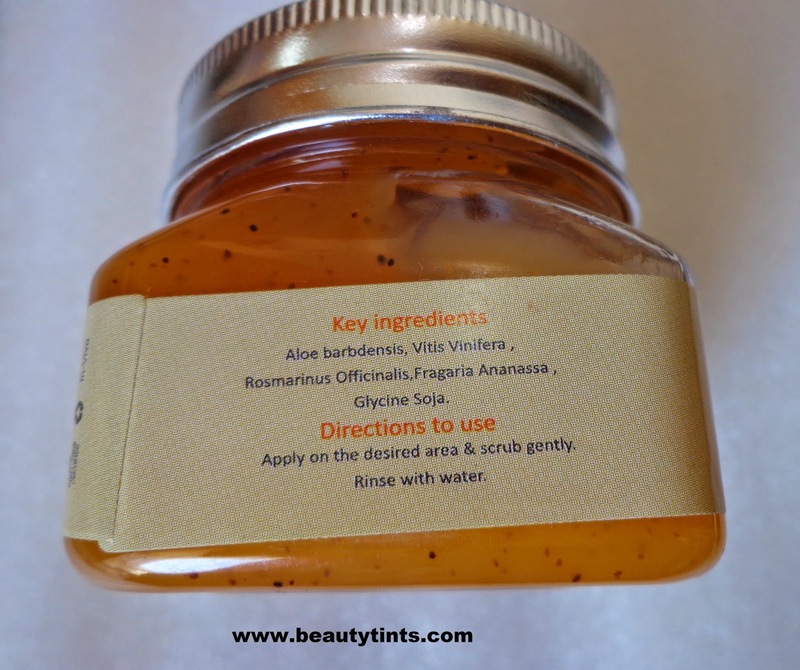 Key Ingredients : Aloe barbdensis, Vitis Vinifera,Rosmarinus Officinalis,Fragaria Ananassa,Glycine Soja. 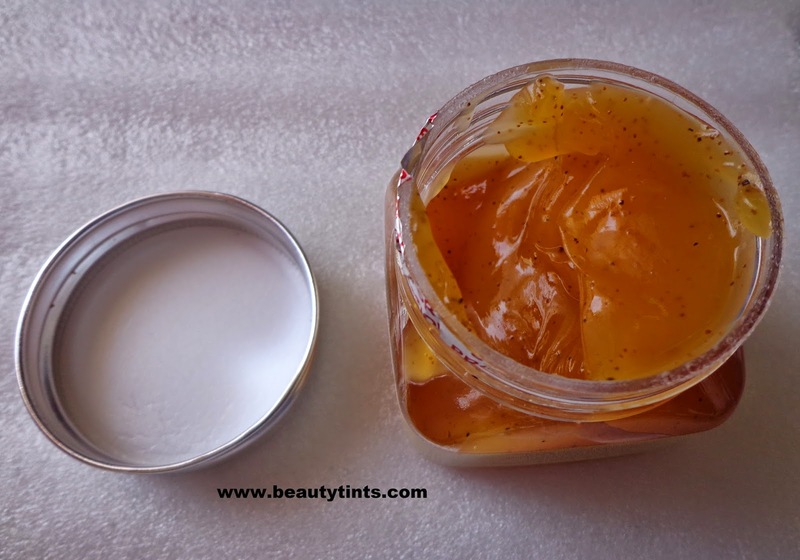 My View On the Product : This is a gel scrub which smells of dried orange peels.It has very few grit particles which assist in exfoliation.The skin on my hands became dry and rough due to the cold weather here and I received this scrub in a right time.It comes in a tub packing as seen in the pictures.I have used this twice on my hands till now.It made my hands soft and supple in the first use itself.As it is is a gel based scrub,with very few grit particles,it is very gentle on the skin but effective in removing the dead cells off the skin.It did not dry out the skin post usage.Like other Votre products this scrub is also cruelty free product made of organic ingredients.The only con about this scrub is its price. 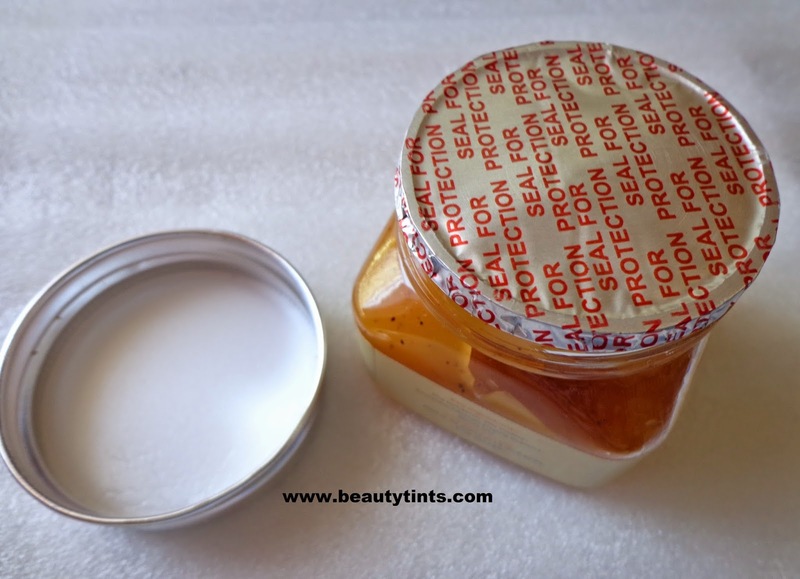 Final Views on the Product :A mild yet effective scrub which does not dry out the skin,which is a great choice for this winter.Those who do not mind about the price can surely try this out.